Your New Year’s Resolution should include treating yourself, and we are here to help with an offer which is hard to resist. From 2 January till 28 February, Taberna Etrusca is offering 20% off the total bill. The offer is valid Monday to Sunday, lunch and dinner, with the only exclusion of 14 February 2019 (Valentine’s Day). Print and present this voucher in the restaurant. Voucher must be mentioned at the time of booking. Offer ends 28/02/19. Excludes use on 14th February. Limit of one voucher per table. Valid for up to six people at a time and for a minimum of two courses from the a-la-carte menu. 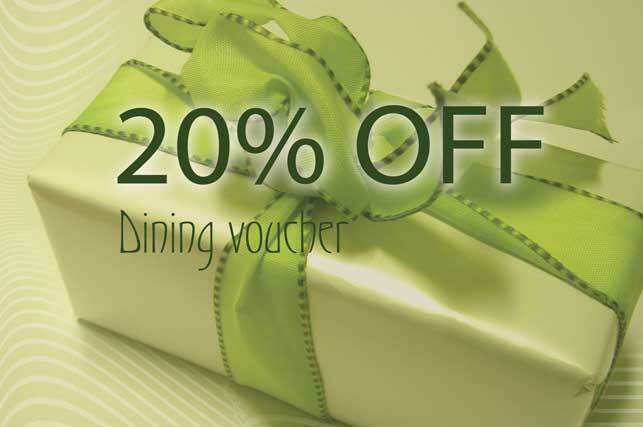 Voucher redeemable in all Restaurants within the Etrusca Group. No cash or other alternative available. Voucher for single use only, retained upon redemption. Not for resale or use in conjunction with any other promotion or offer. All bookings subject to availability. Taberna is a charming find; a little slice of Italy in the heart of the city. Serving traditional and modern Italian cuisine that will have you coming back for more, time and time again. We are always looking for keen, hardworking and enthusiastic people to work within a very successful and innovative organization. We offer the appropriate training to all successful applicants. We look for enthusiasm, a customer focused attitude and a desire to provide our customers with outstanding quality of service. We recruit bright, creative and enthusiastic individuals with character, team members and managers who share our passion for great food. If that sounds like you, please email your CV to: careers@etruscarestaurants.com and help us create a genuine Italian surrounding. Applicants must have the right to legally reside and work in the UK without any restrictions or limitations.